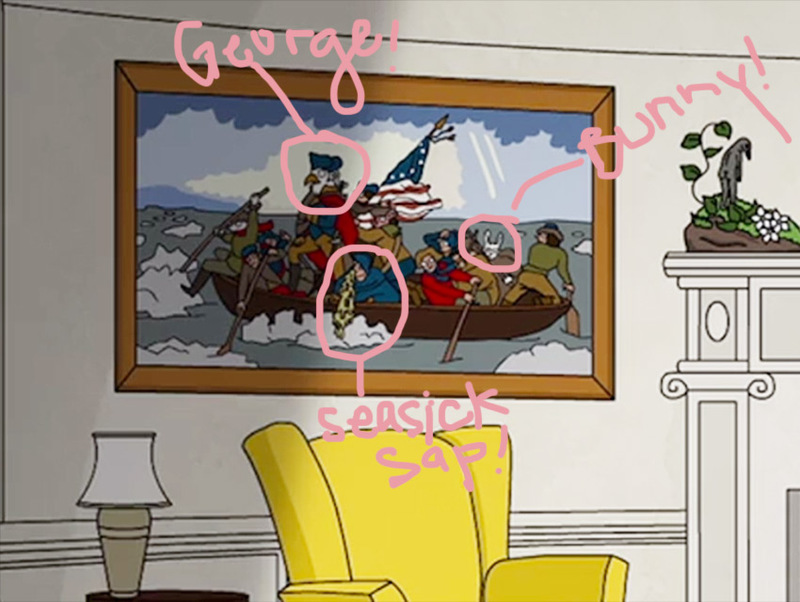 "The Holiday Feast" is one kooky illustration in "Hot Dog Taste Test"
Hanawalt’s version of “Washington Crosses the Delaware” appears in “Bojack Horseman” season 2, episode 9: “The Shot.” We added a few helpful pointers. 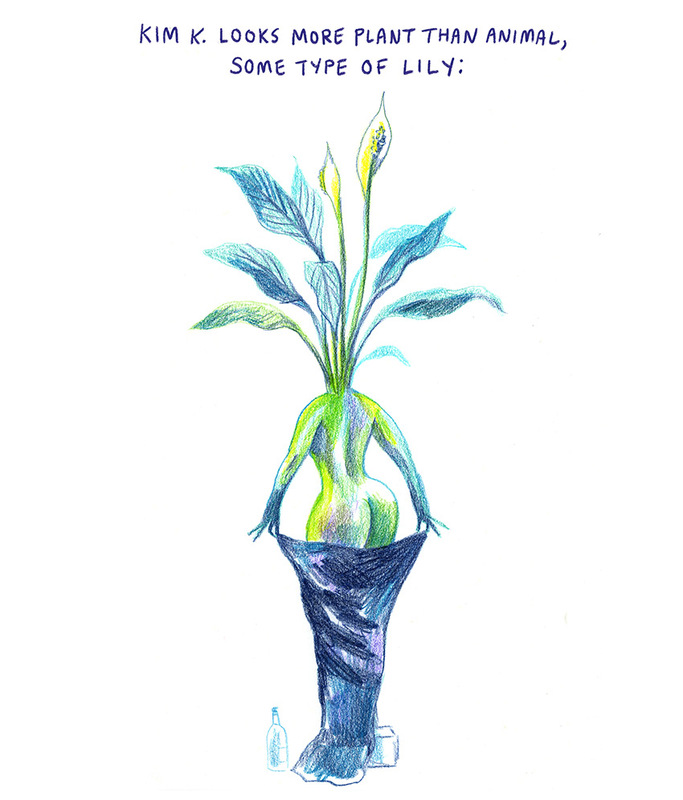 The 33-year-old artist’s buttocks-based aesthetic—her words, not ours—is only one facet of her delightfully debased illustrations and comics (she created the drawings of shoppers in a health food store and of Kim Kardashian as a lily, both below, for this article). More can be found in her newest book, Hot Dog Taste Test (June 14). 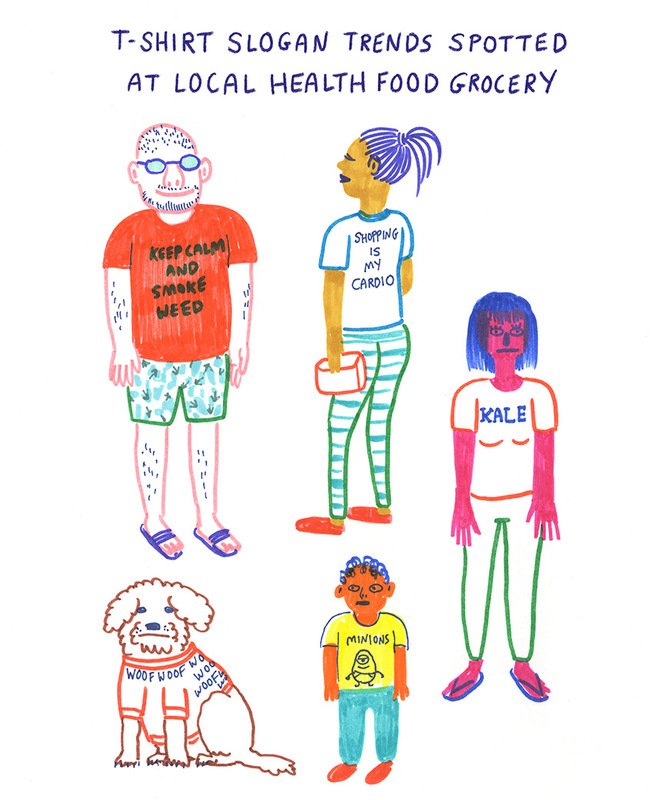 The food-focused compendium pairs Hanawalt’s art with observations so singular in their weirdness that they result in side-splitting veracity. In the essay “On the Trail with Wylie,” Hanawalt punctuates her record of a day spent shadowing New York chef Wylie Dufresne with a medley of drawings. One depicts his conversation with a well-heeled tomato (no, seriously, it’s wearing stilettos); another provides a guide to pasta shapes (she labels the bow tie variety “Bill Nyes”). The piece, which originally appeared in Lucky Peach magazine, won her a James Beard Award. 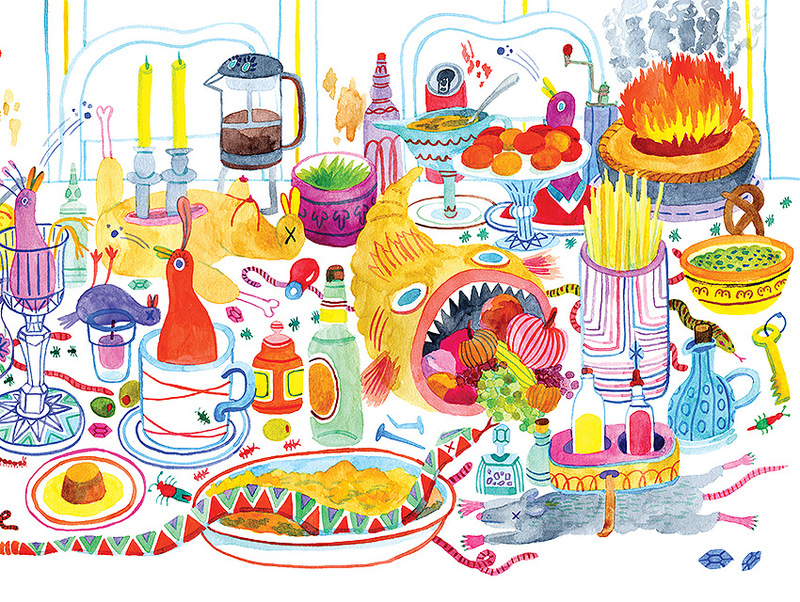 Hanawalt will be at Skylight Books on Wednesday, June 8, to discuss Hot Dog Taste Test. The event begins at 7:30 pm. Previous articleCan This $14,000 Coffee Machine Make Your Beer Taste Better?